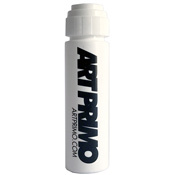 Art Primo Reviews by Kit - A Top 1000 Reviewer! All the reviews by Kit - A Top 1000 Reviewer! I love this i got it 4 sum new write in my crew and i got a toxicshocker this kicks the crap out of that bum of a mop. the nib is the best one i have ever seen!!!!! First of all this is hands down the worst mini mop i have used! The plastic is 2 hard 2 squeez. It felt like i was tryin 2 squeez a aspirin bottle. The nib is 2 low so its awkward 2 write with, and the dam thing leaked on me with both pigment and alcohal based inks. the only thin i liked was the size its about the size of a deco paint pen. i will never use or by this Bum of a mop again!!! (ap reply) what?? We use them all the time with dye inks like Pilot and they write dope with them. As for the leaking all mops can get messy. If you want a cleaner hobby then I strongly suggest Knitting.